Korekspert company offers deliveries Wish Formula functional Korean cosmetics wholesale (Height formula) directly from the producer in South Korea. 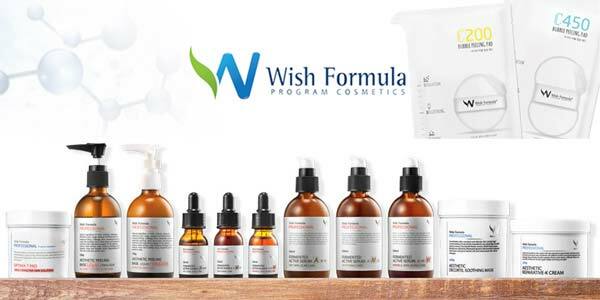 Korean brand Wish Formula - is popular in Korea among the middle segment buyers. We have a professional line of brand, which is used in more than 1500 Beauty salons South Korea. There is also a segment of Home Care, which includes a mask, peelings (most popular pilling wish formula c200 peeling pad can be ordered in bulk). we – direct supplier. We have signed a long term contract with producer Wish Formula brand in Korea. We guarantee, that we have the best prices, as the product comes directly from the manufacturer.